There were military aspects involved as well. The Europeans were gearing up for another Crusade (Persecuting Jews, torturing heretics, claiming that Christian tourists [Sorry, pilgrims] were being overcharged in Disneyland [Sorry, the Holy Land], all the usual lead-ins to a Crusade). The investment in the early expeditions was relatively small, and the payoff was potentially huge. A circle-route around the world would have allowed European traders to bypass the middlemen of the Silk Roads and given European Crusaders a route from which to take the Saracens from the rear. Sadly for those plans, there was a continent in the way. Fortunately the continent had some small reserves of valuable commodities, so the discovery wasn't a complete loss. I have been thinking for some time now that the real attraction in space is, if it exists, non terrestrial life. Even a microbe on Mars or an amoeba in the oceans of Callisto or... something in the methane pools of Titan. Maybe even something using radically different amino-acids, different DNA-equivalent. More than just the proof that life can exist pretty much anywhere you give it a chance (see thermal vents and rime pools at stupendous depths in our own oceans) but we know that biological materials are the hardest to synthesize. We're still looking for a good equivalent to spider silk, just to name one. Can a Martian virus or a Callistan amoeba be our pepper of the future? A form of life so far unknown, using a biology we haven't thought of, complex molecular sequences we hadn't imagined before, would be far far more attractive than mere metals or He3. When Pasteur finally proved the existence of micro-organisms, our medical technology made leaped forward in the way no one had even dreamed, not even Pasteur. What could we learn from alien life? And it might even taste good in soup! The important lesson is that the Portuguese went after something they KNEW was there, as a means to remove the middleman. By the way, one of the first things they did after they got pepper from india was to try and plant it someplace else (Mostly Brazil, due to the similar climate to India and the Southeast Asia—Some of the largest black pepper farms in the world still are in the Amazon basin). Same thing for all the good fruit they found in Asia (Mangoes, for example). 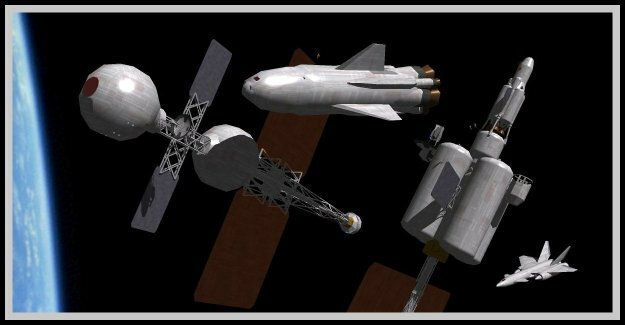 We still need good reason to go to space, because, as space is (so far) dead, everything we can potentially get from space we can replicate here, at a lower cost (so far). We need a new pepper, which grows only in Mars. Interesting tangent. Roasting coffee beans was done in order to prevent people from simply planting their own. Organic copy protection. Jean: The way you explain the ET's makes it seem like the model to use is the slave trade. The current closest thing I can see to "pepper" would be helium in a few years. We use it for everything, and we're running out. I think Jean is on to something here. The Portuguese and Spanish were pretty blinkered really, they knew pepper was out "there" and needed a way to bypass those pesky Ottoman and Venetian middlemen. For the most part they did well when they got what they came for, but were a lot less successful with the strange new environment, pretty much ignoring it. The other Europeans came to the Americas looking for gold, but the ones who became rich discovered new products and created new markets. In the case of Canada, furs became the commodity of choice for "The Company of Adventurers" (AKA the Hudson Bay Company), since they weren't finding any gold. All kinds of other resources were also discovered and exploited, as well as support industries, leaving a much richer and more diverse economic foundation for the colonies and eventually new nations to grow from. As far as space resources are concerned, we have tales of "El Dorado" (mostly concerning energy, such as constant sunlight for solar power stations or 3He for aneutronic fusion [if and when that challenge is met]). There will be "Spaniards" and "Portuguese" who strike it rich in these markets, of course, but the real question is who will discover and exploit the "furs" , "cod" and "tobacco" (to name two products) of the new environment? Thucydides: whoever financed the probe that finally finds life. There are projects to dig through Callisto's ice layer and examine and explore the underlying oceans, and missions to Titan and Triton are likely. We're not going to go get our "pepper" blindly, we'll know what it is and where it is. We know there isn't a continent in the middle with unknown resources. Before we colonize the solar system we'll have a pretty good idea of what we'd be looking at. Maybe we should be looking for a "pepper" that isn't quit so concrete...perhaps our "pepper" will be a new insight or new enviorment that forces us to look at things in a different light...or even the destination itself may be our new "pepper"
What I was getting at was yes, we will indeed set out looking for "pepper" (or sunshine or dewars of 3He), but once we are living and working in the environment, some people will see resources, products and services that were not apparent before. I can actually imagine a sort of "Helium rush" on the moon in the mid to late 21rst century, then the moon becoming a ghost town with abandoned mass catchers in an orbital brownfield around L2 in the 22nd century when something much cheaper or more cost effective than boiling 3He out of lunar regolith is discovered; something you and I might only guess at today (the way the Company of Adventurers more or less stumbled upon the idea of the fur trade after being unable to find gold). So pepper might get us started, but you never know what will power the economies of the future. As usual, comments have covered so much ground that it is hard to know what to add. Definitely Jean could be onto something with biologicals, not to mention the impact of those LIFE ON MARS !!! (or wherever) breaking news headlines. But if we don't find life, does it all fizzle? Thank you, Rick, and the commentors, for this explanation of the Samarcand of the Sea. Sue - Thanks for dropping by, and your link! This is quite a remarkable service you are performing. Like practically everyone I know exceedingly little about Amadis de Gaule and the literature he spawned. Only that it had obvious kinship to modern fantasy, and that it was enormously popular during the Age of Exploration. In the first version of my novel I had a scene with my protagonist and her ladies in waiting reading aloud from an Amadis style romance. Alas it ended up on the cutting room floor. "one of the first things they did after they got pepper from india was to try and plant it someplace else"
A surprising number of new world cash crops came from somewhere else: sugarcane, coffee, cotton. Tobacco's the only one that was an entirely new discovery. Corn (maize)? Or is that not a 'cash crop' in the sense that ag people use the term? But it does tend to be forgotten how many Old World crops became prominent in New World agriculture. Laughed at 'And it might even taste could in soup'. A base has been established inside a pocket deep within Europa's ice crust, but there is an explosion inside the aeroponics lab. Food will be in short supply and another shuttle won't/can't arrive for at least a year. Solution: those magical, half foot, bioluminescent, even seemingly curious creatures that propagate the surprisingly oxygenated ocean (via cosmic rays turning the ice into oxidizers -Wiki). The only thing is these creatures are rare... so it is either them or the explorers. -And what if the Na'vi tasted like chicken, devilishly delicious naturally barbecued chicken. There are lots of stories where aliens want to eat us: What if we wanted to eat them! I missed this whole latest exchange! How deliciously evil, so to speak.